Taiwan has been a treasure trove of quirky urban finds for us, most recently our article on the bathroom themed restaurant, Modern Toilet. 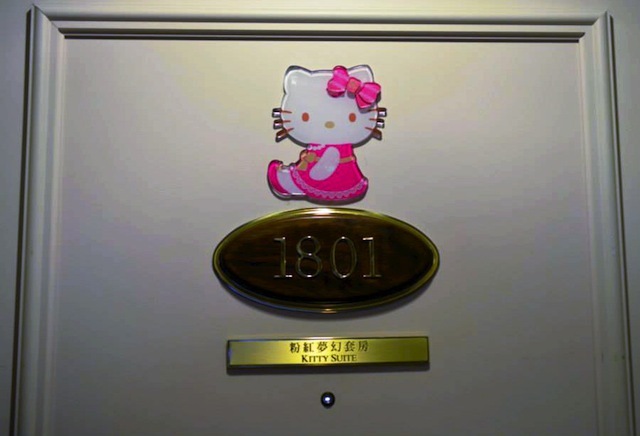 The Washington Post’s Gene Weingarten said the piece was “spectacular…Really, anything I say to prepare you for this would be insufficient.” So today, we bring you the Hello Kitty Hotel. 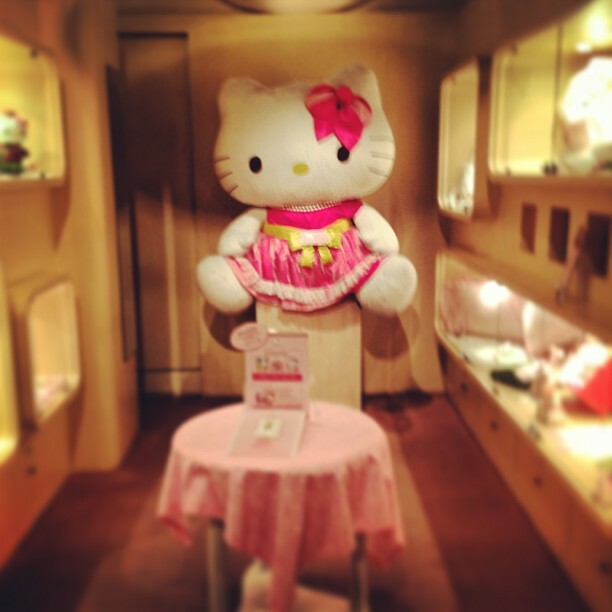 Although Hello Kitty was invented in Japan, locals of Taiwan are obsessed — evident by their Hello Kitty Castle in Hsinchu, Hello Kitty Maternity Hospital in Yuanlin and currently-under-renovation Hello Kitty Restaurant in Taipei. The unique cultural experience takes place in the Kaohsiung’s Hi-Lai Plaza Hotel. 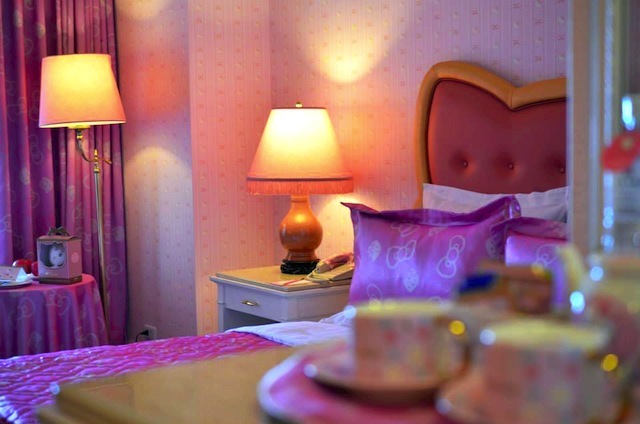 Its Hello Kitty guestroom is said to be the “world’s dreamiest” Hello Kitty-themed room. 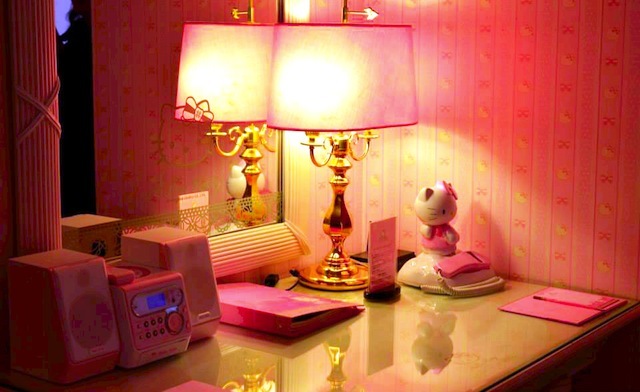 Awash in wall-to-wall pink, the hotel features a Hello Kitty bedspread, Hello Kitty curtains, a Hello Kitty-square bed headboard, a Hello Kitty shaped bathroom mirror, Hello Kitty bathroom amenities, Hello Kitty artwork and even a Hello Kitty radio that plays Hello Kitty music. 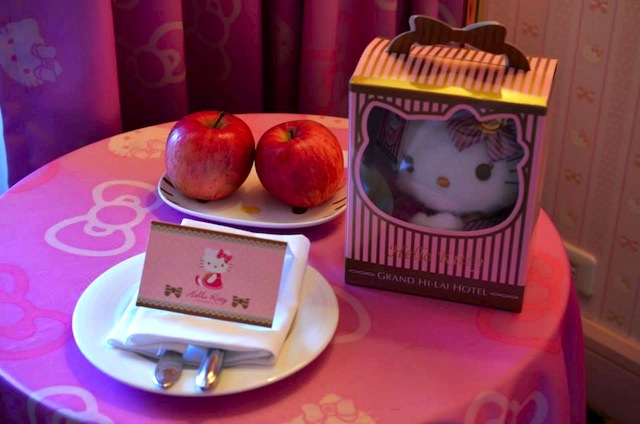 You can also have breakfast with a live Hello Kitty, ride around town in a pink Hello Kitty car and ride around on a Hello Kitty bicycle. 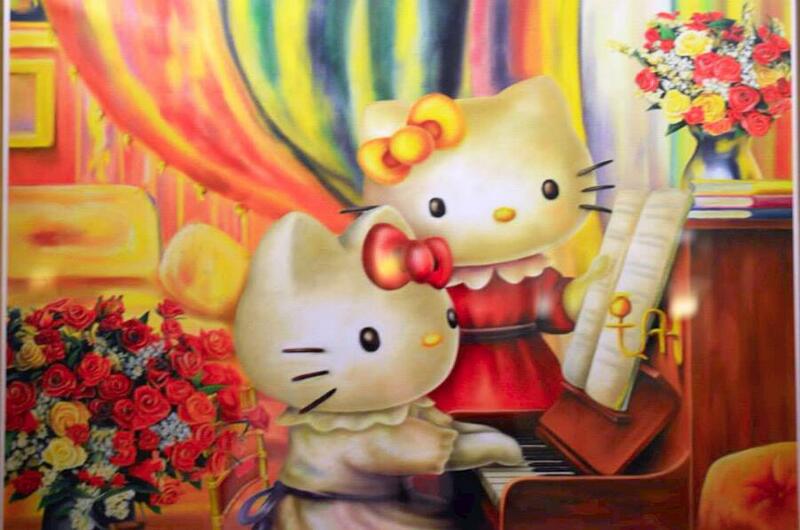 For a truly luxury experience, head to 7-11 for some Hello Kitty Lychee Rose wine. Ironically enough, you may need to call 7-11 and make a special reservation for the wine, as it’s not always in stock. If you like super-sweet hot pink drinks that take you back to the good old college days when you would drink battery acid if it had alcohol in it, then this libation is for you. In case you’re not tired of Hello Kitty yet, there’s also the Hello Kitty Townhouse in Taiwan and Hello Kitty themed airplanes from Eva Air. *All photos © Jessica Festa. This post was originally published on Jessie on a Journey. You can also follow Jessie on Twitter @Jessonajourney and Facebook. Hi, Can i know how much to stay in this hotel for 4 nights? From May5 to May9 ? Get back to me soon as i need to book ticket to go with the hotel.